On Tuesday, Ayanna Pressley became Massachusetts’ first black woman elected to the US House of Representatives. What did we learn Tuesday? The top-line results showed a good night for Democrats: The party won the House of Representatives, picked up governorships from Kansas to Maine, and outperformed Republicans in the popular vote. But the partisan results tell only part of the story. Throughout the campaign season, and in the results, some lessons emerged that voters — and politicians — would be wise to notice. Don’t fear the NRA. Remember how Vermont governor Phil Scott was going to pay a price for signing sweeping gun control legislation earlier this year? He was handily reelected. Meanwhile, voters in Washington state passed a ballot question increasing the minimum age to buy guns, instituting waiting periods and background checks, and stiffening other firearm requirements. Obamacare is winning, and Democrats should (finally) run on it. Three Republican states — Idaho, Nebraska, and Utah — approved Medicaid expansion Tuesday, embracing a key feature of the Affordable Care Act. In Maine, Democrat Janet Mills was elected governor vowing to implement a Medicaid expansion voters want, but Republicans have resisted. Meanwhile Democratic Congressional candidates were able to successfully turn past GOP votes to repeal Obamacare — and its protections for people with preexisting conditions — against Republican incumbents. More women should run for office because they can win. A record number of women ran this year and a record number were elected to Congress on Tuesday. 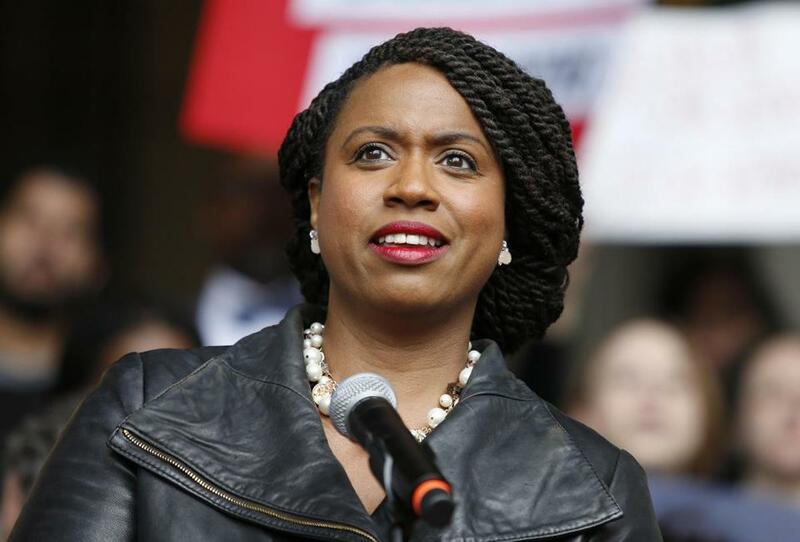 Locally, Ayanna Pressley will be the state’s first black congresswoman. Lori Trahan will carry on a tradition in the Merrimack Valley’s Third Districtof women occupying that seat. Women also made history on Beacon Hill, claiming a record 46 seats in the House. Among them: 32-year-old Democratic newcomer Tram Nguyen , who unseated Republican Jim Lyons. The New England GOP still has a pulse, but it’s in trouble in the age of Trump. GOP governors were reelected in Vermont, New Hampshire, and Massachusetts, but down-ballot Republicans got clobbered. The party now controls zero state legislative bodies in the region. Competitive elections are the lifeblood of democracy, and the GOP has got to do a better job recruiting serious, moderate candidates, especially at the local level. Republicans too often seem to look down their noses at local elections, but just ask former Swampscott selectman Charlie Baker: Political careers have to start somewhere. 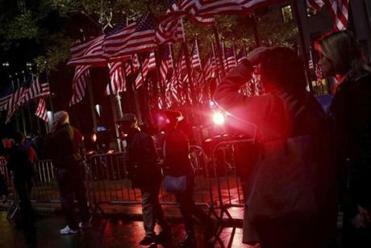 In districts across the country, Democrats picked up seats by the dozen. In the coming days, they will need to figure out how to use their new House majority. Question 1 was an acid test for Democrats, showing voters what politicians were made of. Some, like Joe Kennedy and Elizabeth Warren, catered to special interests by backing the yes campaign. Others, like Seth Moulton and Maura Healey, didn’t. A handful of Democrats, including rumored House speaker hopeful Ron Mariano, actively spoke out against the nurse staffing measure, which was soundly defeated. Remember which side politicians took — their stance on Question 1 said a lot about their willingness to buck partisan politics and put the public’s interest first. Criminal justice reform, and reformers, were winners at the polls. Reformist district attorney candidates, including Suffolk County’s Rachael Rollins, continued to rack up wins. Voters approved a proposal to restore voting rights to felons in Florida, and in Washington, a ballot initiative to put tighter rules on police use of force passed. The tough-on-crime era is on its way out, and politicians needn’t be shy about it. The electorate is restless . . . even in Winthrop and Revere. Massachusetts House Speaker Robert DeLeo got a warning shot Tuesday when voters in his district handily passed two nonbinding questions aimed at him. Why? DeLeo essentially made himself speaker for life in 2015 and raised his own pay in 2017 by about 50 percent. Voters called for, among other things, a return to the eight-year term limit for the speaker and a repeal of his pay hike. A second successful ballot measure tweaked DeLeo on the issue of climate change. Decency still matters in politics — at least in Massachusetts. Opponents of Question 1 did not plan a “victory” party because they felt that there was nothing to celebrate about an issue that divided nurses. Instead when Question 1 was defeated, opponents held a reception for volunteers and printed signs that read “Working as 1 For Patients.” Jay Gonzalez and Charlie Baker both made notably gracious speeches on election night, trading praise for one another — and making voters proud of their choices. And, finally. . . California voters rebelled against twice-a-year time changes, approving an initiative that authorizes the state to switch to permanent daylight savings time. It’s an idea that’s been studied in Massachusetts and got a positive recommendation last year from a state commission. The clock is ticking, the hour is late, and this idea’s time has come. Is Charlie Baker dreaming of 2020?